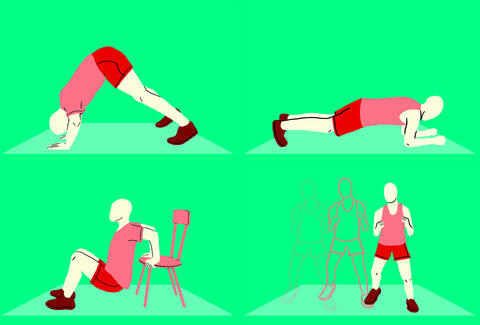 You toasted your legs with a pyramid workout yesterday, so now it's your upper body's turn. While consecutive circuits are certainly able to bump up the cardio on their own, you'll get an added dose with the addition of a side-shuffle exercise. Give yourself about 10 to 15ft to move around. 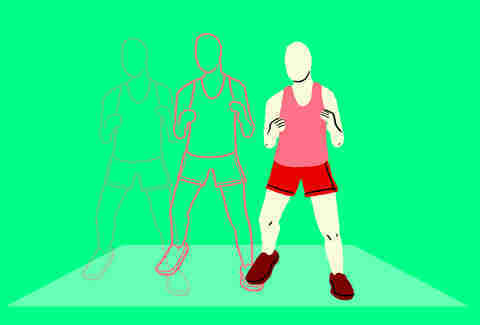 Side shuffle: When you reach the opposite side, plant your outside foot and squat down to touch the ground. That counts as one repetition.